In this article, I will be discussing Cisco IOS Troubleshooting Tools as part of Network Principles and Network Troubleshooting CCIE Routing and Switching (R&S) V5.1 exam blueprint topics. Let me summarize some of the key takeaways related to IOS Troubleshooting Tools as relevant to CCIE Routing and Switching (R&S) V5.1 written exam blueprint topics. I sincerely hope that you found this article and video helpful. 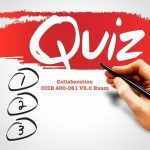 Please post your questions or suggestions in the comments and tell me how you are preparing for your CCIE Routing and Switching (R&S) V5.1 written and lab exams. SEND ME CLOUD BOOK NOW! Sign Up to Download Your Free Six Sample Guides Now! 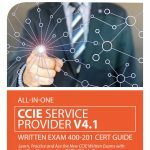 Evolving Technologies V1.1 is now part of all CCIE/CCDE Written exams. All of our study material is already updated with V1.1 material!